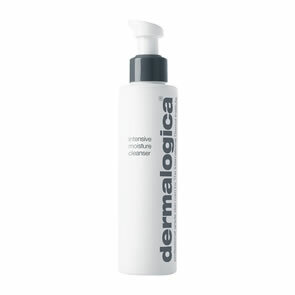 Dermalogica Intensive Moisture Cleanser is formulated to effectively remove make-up and dirt without damaging the lipid barrier. It is fortified with phytoactives from Coconut and Murumuru Seed Butter to enhance the skins natural resilience. Invigorating extracts of Citrus, Palmarosa and Jasmine help soothe and refresh tired skin. Powered by Unique BioReplenish Complex to deliver a combination of key barrier lipids. Essential ingredients full of antioxidant properties to support skins barrier recovery. Coconut and Murumuru Seed Butter keeps skin nourished and protected. Citrus, Palmarosa and Jasmine help soothe and refresh tired skin.